We are a full service design firm, located in the Kawartha Lakes, and with a focus on interior design, kitchens, bathrooms, custom closets, built-ins and decor. We can help from the design phase through to the installation and decorate phase. We have been designing dream homes for the past 15 years and would love to take your concept from design to built and decorated. With Home by Tim + Chris, you won't have to leave your office to bring your project to life. Thanks to our network in Toronto and the Kawarthas, we can spend time in the city finding the right fixtures for your cottage or home, and then with our project management and construction experience we will ensure that your project gets installed with little impact on your time and with careful consideration of your budget. We take great pride in our ability to help our clients realize their dream project. Tim and Chris managed us through a whole main floor remodel in 2016. Our home is a 40+ year old detached, and was "DATED"!!! The greatest asset that Tim & Chris brought to our re-model was vision. Living in the space, we found it really hard to envision a different layout, but they were able to guide us into seeing our space in a whole new way. 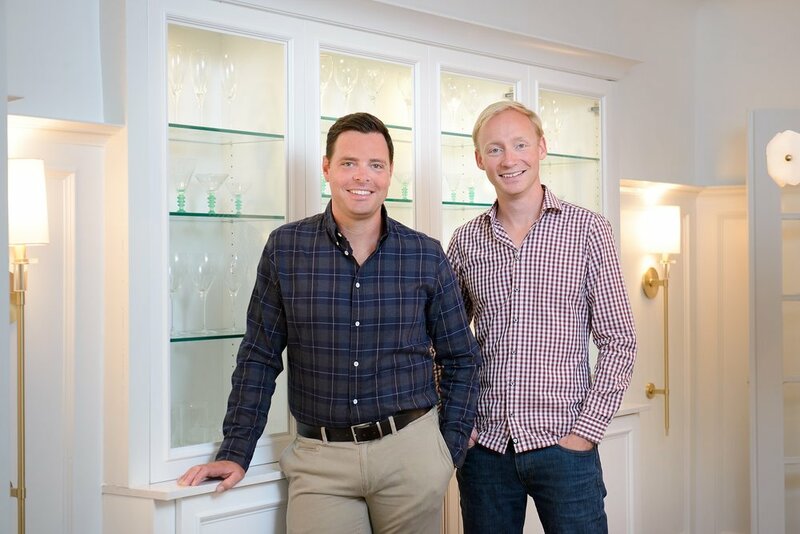 From layout design to materials selection, Tim & Chris took us through every step - and even helped us negotiate within our family to make sure everybody's needs were incorporated into our new space. We've been living in the space for almost a year post-renovation, and still love it! I love to bring people into my home and watch them explore this re-imagined space. I had stopped having dinner parties in my home, because I really did not like my space, but now I love to have people in to share this beautiful space with them. Tim and Chris remodeled our main bathroom last year, and we could not be happier with the result. We had a typical 1940s bathroom, with a single sink, and virtually unusable bathtub. They brought our bathroom into the 21st century, with heated floor, a full-size tub and a double vanity. Other contractors had told us it could not be done, but Chris and Tim worked their magic, all within the budget they quoted us. Love, love, love their work. I hired Home by Tim + Chris to re-do my kitchen, bathroom, and decorating. The project was divided into phases and they just finished phase 1. I couldn’t be happier and can’t wait for the next phase to be completed! 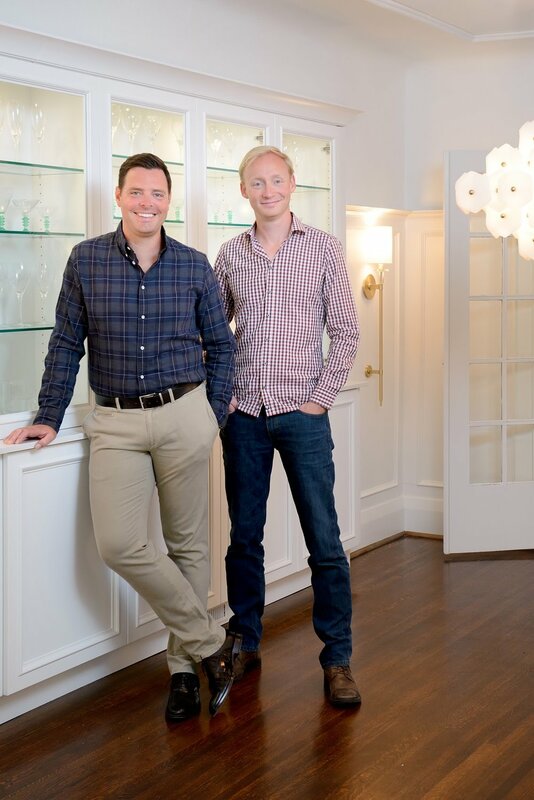 Tim and Chris have impeccable taste, ceaseless skills and resources, and are perfectionists. They collaborate with clients so the end result is completely reflective of your personal style. From the necessary infrastructure issues to dressing my bed, they did an amazing job. We hired Home by Tim + Chris when we bought our home a couple of years ago to help us update the interior. They did an amazing job bringing our colour scene and décor up-to-date and in-line with our personal style. We just hired them again to build a fence and help us with our backyard. The work was well-organized and completed in a timely manner. The fence is amazing or, in the words of our neighbours, a masterpiece. Their work is impeccable and they have such great style. They added detail to the fence that made it more than just a fence: it is a beautiful frame for our yard. Tim and Chris are extremely personable and very communicative about all details. This won't be the last time they come to our rescue. Nine years ago, I moved into a 1946 bungalow - complete with a dark kitchen that had undergone an unfortunate renovation some time in the mid-80s. I turned to Tim and Chris for help. They had a vision for my kitchen and transformed it into an open, welcoming space - removing a needless wall (let there be natural light!) and replacing all the light fixtures. It’s now my favourite room, much more functional and flows beautifully with the rest of the home. They were an absolute joy to work with! I so appreciated their thoughtful design decisions, meticulous attention to detail and respect for my budget. Bonus: on seeing the refreshed kitchen my realtor commented I’d likely increased my home’s value by 20%. I would highly recommend Home by Tim + Chris to anyone looking to refresh (or completely overhaul) their living space. Our kitchen, dining room and main floor were completely transformed by Home by Tim + Chris. Everything was done to utter perfection! On time, on budget and delightful from the first consult to the spectacular reveal. They were masterful at assessing our taste and introducing us to complementary, new design favourites. Their attention to detail was truly unparalleled. Best was their warm communication style and design-build expertise. They know the industry, the trades and the designers. You couldn't hire anyone better than Home by Tim + Chris. Tim and Chris are incredibly efficient and also precise - a quality that is often lacking in those that work quickly. While I value efficiency in a significant renovation, I actually feel that creativity gets the better result. Together as a team, and each individually, they offered creative solutions to challenges, minor and major, that are typical in any project. In the end: a carefully crafted look that brought a tired old house into the real world with a nice bit of whimsy! Thanks Guys! [CS Monitor Feature] Endless summer? 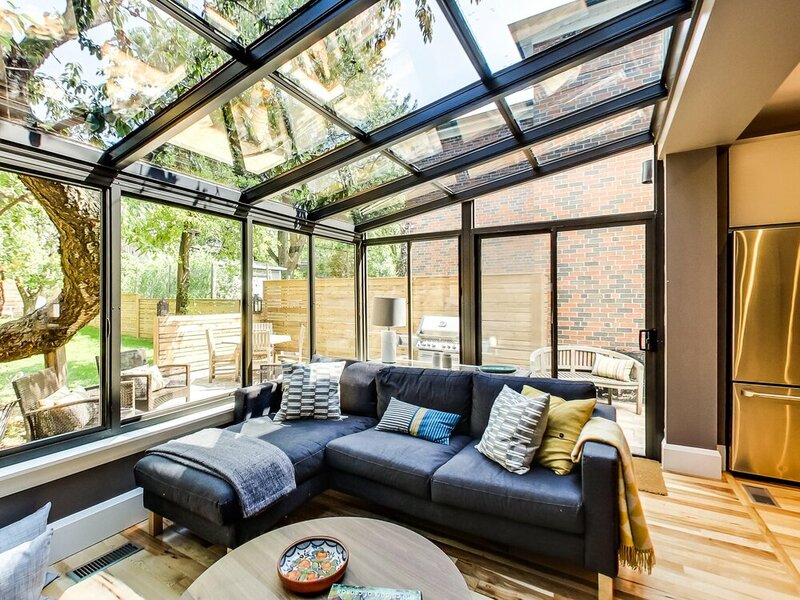 More Canadians embrace a getaway lifestyle.